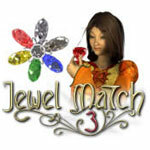 Jewel Match 3 Game - Download and Play Free Version! 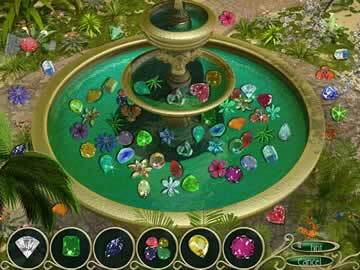 Enjoy a jewel matching frenzy in this visually stunning, fast paced game! The time has come to save the kingdom of Nevernear! An evil has taken over the land and encased the king in layers of shining dark crystal. You get to play as the king's young niece and weld her fledgling magical powers. Your quest is to manipulate the power of gems in order to free her uncle and restore the land to its original glory. Each level in Jewel Match 3 builds on the level previous, leading to a challenging gameplay experience sure to satisfy any puzzle lover. Typical puzzle games are lacking in the area of character and plot, but that's not the case for Jewel Match 3. The plot involves gems, crystals and magic, which seamlessly fits the elements of this gem matching game. In addition to matching jewels, Jewel Match 3 offers a surprising amount of variety in terms of game quests. 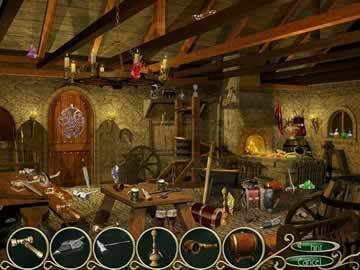 Picture puzzles, hidden object mini games, gardening and building are all incorporated at unexpected intervals, making this game a constant surprise sure to delight players. The gems are bright, colorful and glossy; the definition of eye candy. All of the graphics in this game are visually striking, which only serves to add to the immersive experience. Anyone will enjoy this game, whether they're young or old, male or female. For this reason, it would make an excellent gift. Incredibly Addicting Gameplay -- Watch Those Hours Pass By! With Jewel Match 3, the game has excellent pacing and flow, making it all too easy to tell yourself that you'll be finished after completing just one more puzzle. During the course of the storyline, characters interact in richly illustrated cut scenes that strongly resemble the lush artwork in a book of fairy tales. The voice work is well done and spot on, suiting the characters well. In this way, the game follows a complete storyline without bogging down the puzzle gameplay itself with unnecessary storytelling. If you get frustrated with locked boxes during gameplay, just smash them with a giant hammer! The game offers some unique power ups that give you a helping hand when needed in addition to making the game more interesting and engaging to play. your dear uncle's kingdom? Choose what you wish to restore and purchase it piece by piece. Also plant exotic seeds in fertile soil and water them to make them grow. These magical flowers are a big part of the storyline, but never detract from the core gameplay experience. Instead, these little side activities only serve as a breather between rounds of intense jewel matching action! If you love jewel matching puzzle games, Jewel Match 3 is sure to please with hours of colorful jewel matching frenzy!